Even though they are so important for our survival and success as a species, we do not really know much about how honeybees originated to begin with. 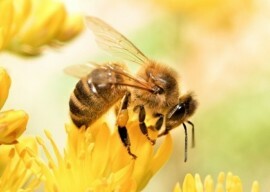 However, a new study by researchers from the University of California, Davis and UC Berkeley have focused on the origin of honeybees in the hopes of finding a way to breed disease and pesticide resistant bees in the future. UC Davis’s Julie Cridland, a postdoctoral researcher, currently works alongside Santiago Ramirez, an assistant professor who also hails from UC Davis, on the subject. Cridland is also working with UC Berkeley’s Neil Tsutsui, an environmental science management and policy professor, with the group’s goal being to further understand how honeybee populations are structured, with the focus of their study specifically on California. Honeybee pollination is crucial for major crops in the state, including almonds. To understand the local bees, the researching group grasped that they needed to better understand honeybee populations in their original Old World range. There are only two chief honeybee lineages in Europe—central European (Austria and Italy) and western European (Norway through Spain). Although these lineages exist next to each other and could breed and hybridize, they remain genetically distinct, arriving in the world at different times and places. “You can’t understand the relationships among bee populations in California without understanding the populations they come from,” Cridland said. So far, the researchers have yet to pinpoint one origin for all honeybees.